You love your pets and you do everything you can to take loving care of them and even spoil them rotten with toys and treats. Even though you try to do everything you can to give your pet a wonderful life, how much effort do you put into caring for your pet’s dental health? Your vet-erinarian at San Marco Animal Hospital near Avondale (32205) will tell you that dental care for pets is an important part of every pet’s health. 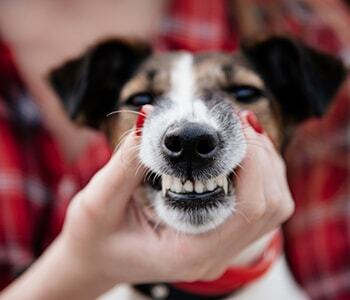 If you want to take better care of your pet’s dental health, try following these tips to care for your pet’s teeth in the best way possible. You know how important it is for you to brush your teeth every day, so have you ever wondered why your pet’s teeth wouldn’t require the same type of care? Your veterinarian will tell you that, in fact, your pet’s teeth do need the same daily care that you give your own teeth. There are pet dental care products available for your pet’s daily dental care, and you can ask your veterinar-ian where you can get the right products for your pet. 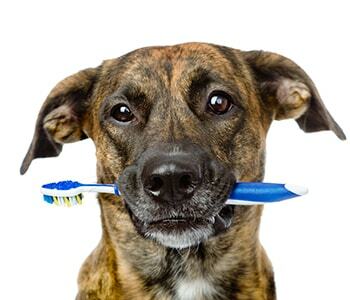 Using pet toothpaste your pet likes, and a pet-friendly toothbrush, you should brush your pet’s teeth every day to keep his or her teeth clean. This may sound like something your pet may not like, but if you slowly adapt your pet to the idea in the right ways, you may be surprised to find that your pet may even grow to enjoy this daily bonding time. Even if your pet only learns to endure daily dental care, he or she will still prefer this daily chore to a painful dental problem that may occur without proper care. Another effortless way to encourage better oral health in your pets is to do one of your favorite things – treat them! There are many brands of dental-friendly pet treats available, so ask your veterinarian to recommend one that may be suitable for your pet. Such treats can work well to keep your pets’ teeth clean in a way that they will enjoy and may even provide pets with a nutri-tional boost that could help their dental health and their overall health. Avoid treats that could be damaging to their teeth and their health. You may also want to ask your veterinarian about how to improve your pet’s regular diet to best meet dental needs. A fun way to help your pet’s oral health is to invest in some healthy, vet-approved chew toys! Not all toys your pet chews on will be healthy for their teeth, and many veterinarians will even warn you about the dangers of common toys such as tennis balls, but other toys may improve their dental health. Ask your veterinarian about toys that would be approved for your pet’s oral health and find out which toys you should avoid. We know that you care for your pet and want to make sure he or she lives a long, healthy, and happy life. Your veterinarian knows that dental diseases in pets can often be an overlooked cause of many larger health problems and may cause your pet unnecessary distress, so don’t neglect this important part of pet care. Follow these tips to provide the best dental care for your pet’s teeth and visit our office near Avondale (32205) to learn more about dental care for pets. Call 904-399-5557 now to find out how you can get your pet’s dental health on track.